Impacts from a potential trade war between the U.S. and other countries around the globe could reach Tennessee exports, says an MTSU professor. Dr. Steven Livingston, associate director of MTSU’s Business and Economic Research Center, recently outlined potential impacts on Tennessee exports from a trade war. According to Livingston, Tennessee exports worth $1.38 billion are on the lists of goods that the EU, China, Canada, and Mexico will retaliate against following President Donald Trump’s recent decisions to impose tariffs on steel, aluminum and several other products. This equals about 4 percent of all Tennessee trade. 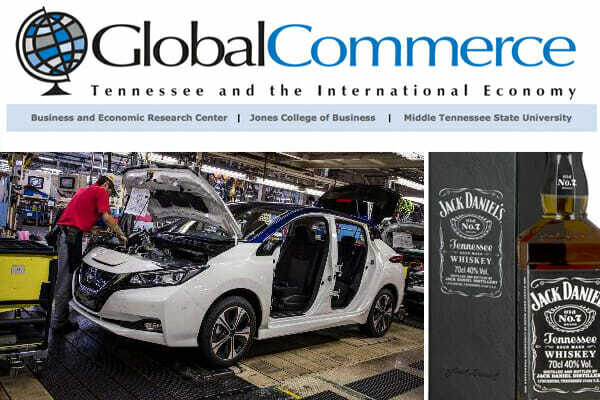 Whiskey is by far the largest export that will be impacted, though the state’s boat manufacturers, hybrid vehicle manufacturers, cotton growers, solar heater makers, and pulp and paper companies “all will find themselves in the cross hairs,” Livingston notes. Read Livingston’s full assessment, which includes graphs and charts, here.